While a packed dance floor is always the sign of a great event, a party sans-dance floor can surely bring just as much excitement. For the crowd who isn’t interested in bringing even the easiest “dad moves” to the dance floor, allow any one of our novelty entertainment options to do the trick in charming your guests all night long. From old-school arcade games, to photo booths, video games or TV and movie or music trivia, Party Excitement has something for every event. The Mrs. Pacman and Donkey Kong fans longing to revisit the glory days can stop their search, as our Multicade machines house 800 of your favorite classic arcade games. You can host a Casino Night and our team will bring in Las Vegas-style casino tables and card dealers for an evening of blackjack and poker – no-stakes, funny-money style. 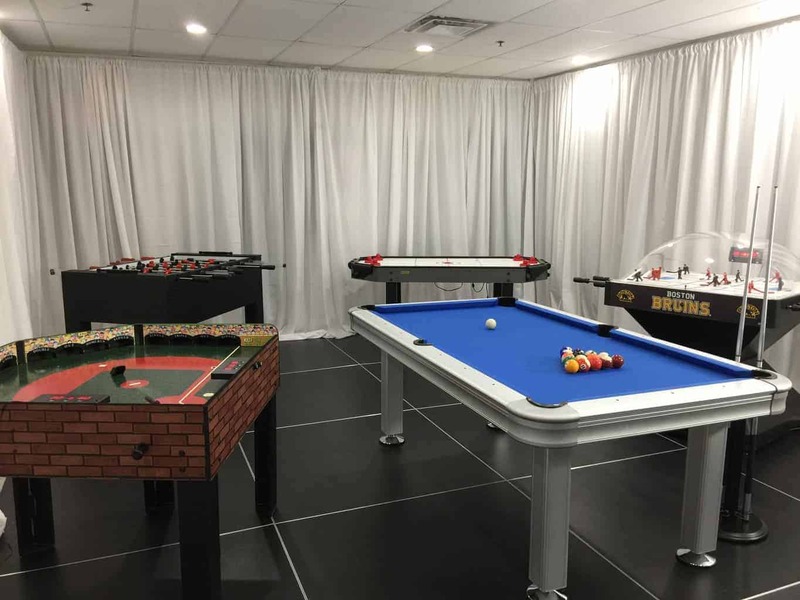 And even for those who want a little more life-size, live-action games, we can bring portable bowling lanes or a 9-hole mini golf course right to your event. Our DJ’s will play the perfect background music to set the mood and establish an upbeat atmosphere, while the novelty entertainment takes care of the rest and ensures your guests a good time.